I just love tools that do more than one thing, don't you? This beautiful necklace does double duty as a stunning piece of jewelry AND a set of removable stitch markers for your knitting and crochet projects! 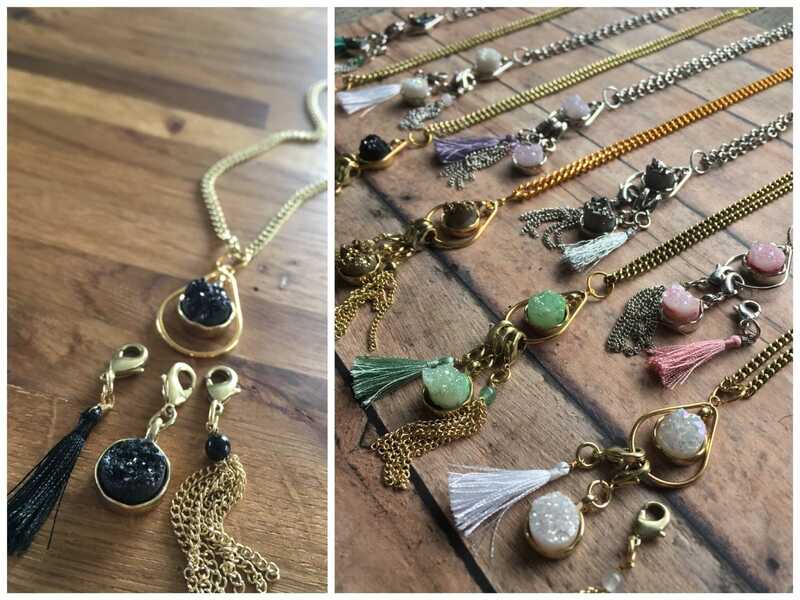 As an added bonus, druzy quartz is a semi-precious gemstone, making these truly a luxurious treat! Each necklace is approximately 30" long and will slip easily over your head - no fiddly clasps needed. 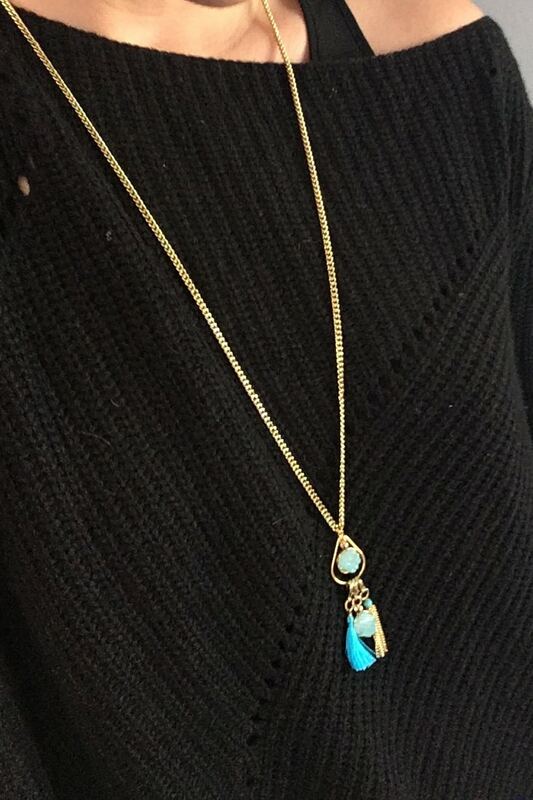 Inside the teardrop pendant hangs one gorgeous druzy quartz; this charm stays put so that your necklace will still be stylish even when all your markers are in use! At the bottom of the pendant are clipped 3 removable markers, each wired to a lobster clasp. 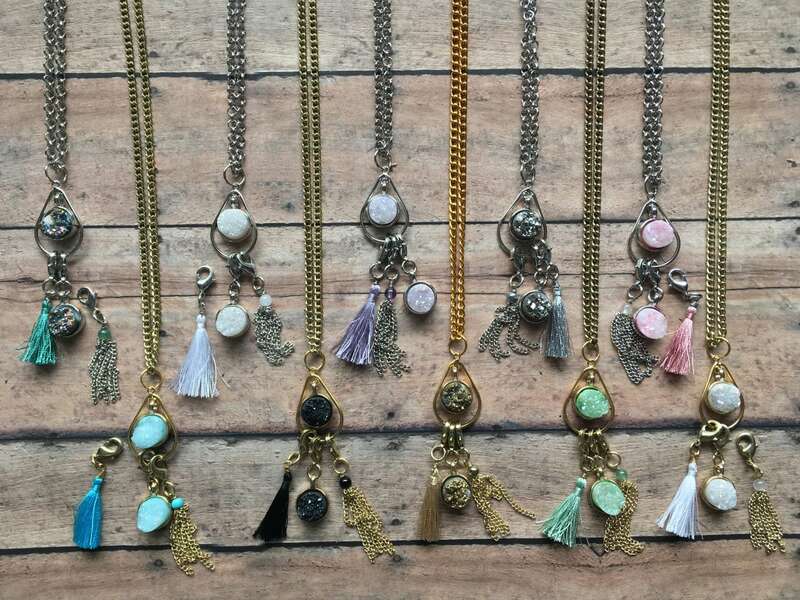 You'll receive 1 each of druzy quartz, chain tassel, and brightly colored satin tassel. Knitters: You can clip the markers to the front of your knitting and keep track of your progress, or pop the jumpring right on your needle and use it as a traditional marker (they'll fit up to a US 3/3.25 mm needle when used this way). Crocheters: The stitch marker style you know and love, on sturdy lobster clasps! Left to right: turquoise, white, lavender, grey, pink. Left to right: sky blue, black, gold, mint, white. 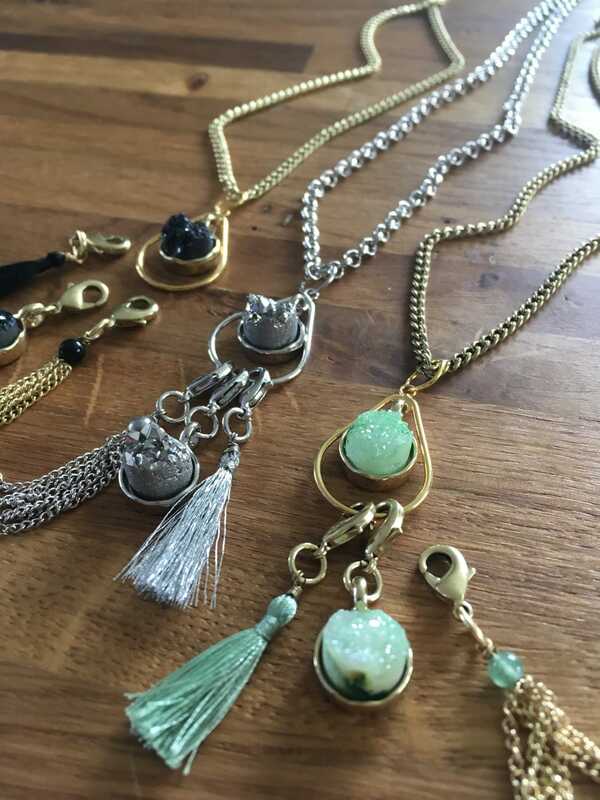 Please keep in mind that since these are natural stones, the color may vary a tiny bit from those shown here; you will be receiving something truly unique!